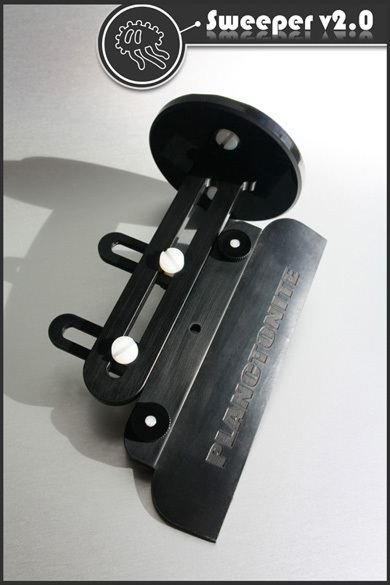 Planctonite, an acrylic aquarium equipment producer, is releasing a new line of automated protein skimmer cleaners. Called the Sweeper, the motorized cleaning device will keep your protein skimmer at its peak level of performance. When your skimmer is doing its job normally, it accumulates debris and gunk on the inside of the skimmer neck that can negatively impact the skimmer’s performance. 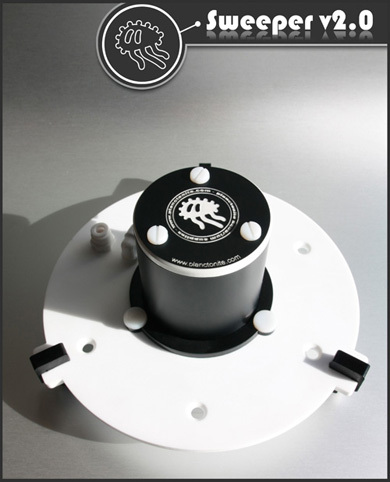 The gunk builds up, preventing the proper depositing of the skimmate into the collection cup. The Sweeper, and other self-cleaning protein skimmer heads, keep this gunk from collecting on the walls of the neck, thereby improving performance. The Sweeper can be connected to a timer or aquarium controller so that it can be activated every once in a while, at the users discretion. The wiper blade will clean the inner surface of the protein skimmer’s neck and immediately impact its performance. There are two models available, the Sweeper v2.o and the v2.0 Plus. 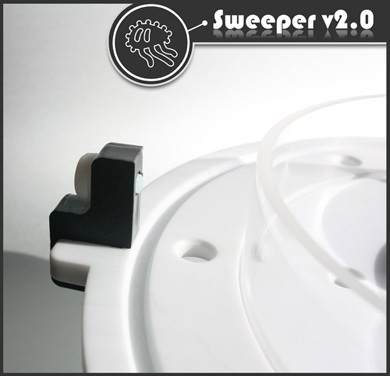 The Sweeper v2.o simply uses a height adjustable rubber brush to remove the collecting gunk. The v2.0 Plus has all of the features of the standard Sweeper, but also adds to its neck cleaning abilities by rinsing the neck with water from the sump and flushing the collection cup with excess water. The flushing of the collection cup should only be used with skimmers that have a drain, otherwise the cup will overflow. Additionally, both models have a magnetically driven head and are universal. Sweeper V2.0 is universal. 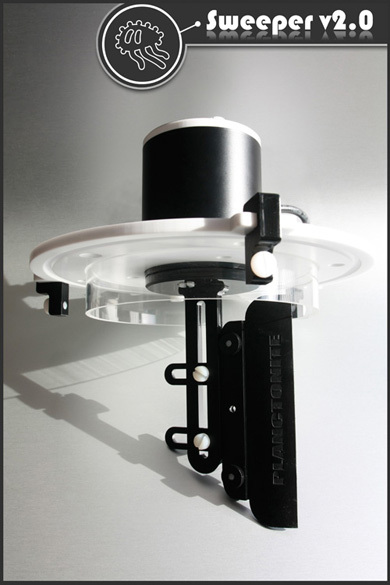 Thanks to the included extra blades and accesories, can be installed in virtually 100% of the skimmers available in the market with a neck diameter above 50 mm, conic necks included! Just specify the OD of the collection cup your skimmer have. 110-240V / 12V AD/DC adapter. The Sweeper v2.0 will retail for approximately $310, with the v2.0 Plus running about $430. Both versions will be available in February.